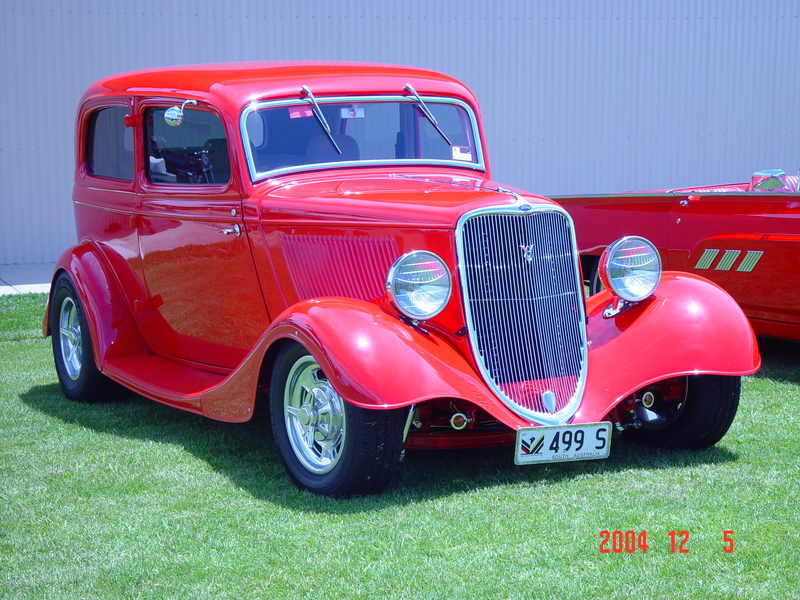 Cruisin Automotive brings quality products to the Australian market at very competitive prices. 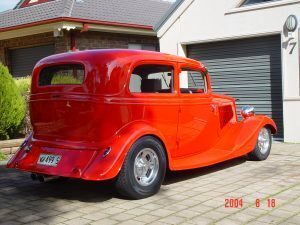 We specialise in U.S. products for Hotrods, American Muscle Cars, Custom Cars and upgrades for the latest era of cars. Cruisin Automotive has the largest range of products in stock in Western Australia, from steel bodies, chassis, right through to lights. Government of Western Australia. Department of Mines, Industry Regulation and Safety. Motor Vehicle Repair Business Licence for a Corporation. Licence No. MRB8085 (includes Certificate of Authorised Premises). I have been involved in hot-rodding since I was 18 years old. The passion and love of cars has led me to start CRUISIN AUTOMOTIVE. I have owned many muscle cars, hot rods and enjoyed owning and driving all of them. Being involved in cars has given me the opportunity to meet a lot of people and be able to share their passion for cars. CRUISIN AUTOMOTIVE brings quality products to the Australian market at very competitive prices. I am able to achieve this through low overheads and low profit margins. I only charge what the freight costs, I don’t inflate the price. I have extensive knowledge of importing parts and cars. My network of people ensures the experience you have with CRUISIN AUTOMOTIVE will be a pleasant one. 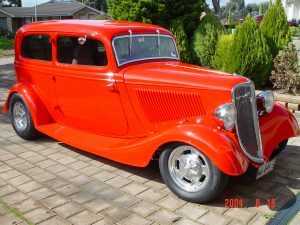 The 1933 Ford Tudor in the pictures was completed in 1997 after several years of meticulous, painstaking work and pleasure. Hundreds of hours in the shed, but as we know this disease/passion is not about the time it takes, it is about the love of creating and driving something unique. The car is a steel body with a heavily modified original chassis. A fuel injected 327 Chevrolet powers the car with a turbo 400 transmission. 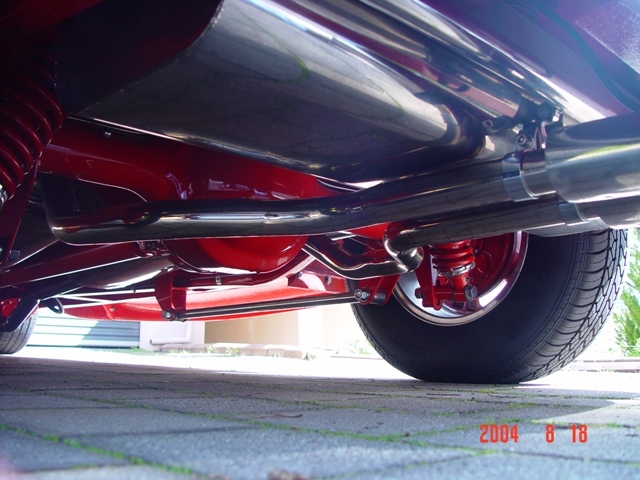 The ever-reliable Ford 9″ rear end is used with coil overs and parallel 4 bar. The front end has a dropped beam axle with parallel 4 bar, and transverse leaf spring. The car has won many trophies over the years: Top Unfinished 1996, Top 2 door sedan from 1997 to 2001, again in 2007 at the Adelaide Hotrod and Street Machine Spectacular. 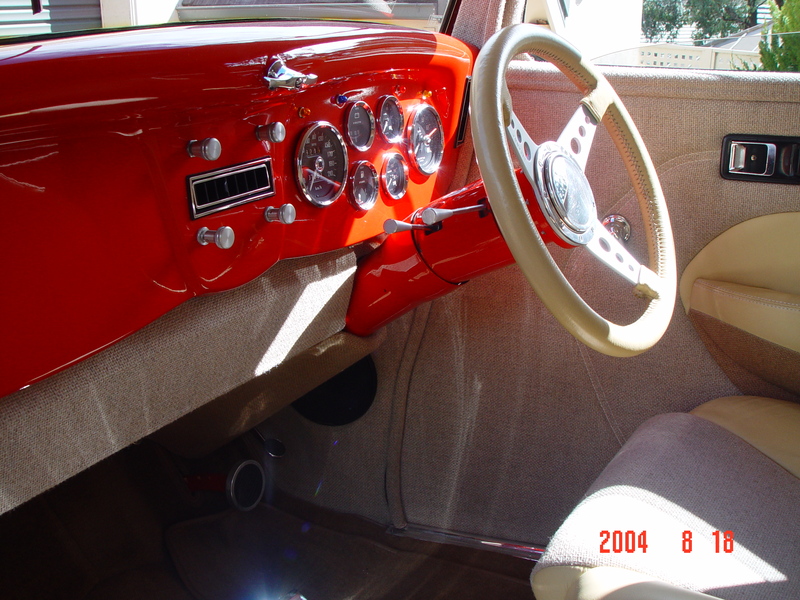 The interior is finished in tweed and leather with a Camaro tilt column and a Lecarra steering wheel. A set of Smith gauges monitor all the fluids in the car. The front seats are Honda and the rear seats are made to suit the car. The rear seat splits and folds forward to give you access to the battery and trunk. With sound deadening throughout the car and a Vintage air conditioning system it is always a pleasure to drive. Halibrand wheels and all stainless steel hardware throughout. Custom headers and all stainless steel exhaust. The car is mostly unchanged since it was first registered. No need to change something that is just the way you want it.